Two Birds, One Stone: White House Ponders Way To Return Sessions To His Senate Seat If Moore Wins - Joe.My.God. Anxious Republican officials spent much of the weekend trying to determine what, if anything, they could do to halt Mr. Moore without simply turning over the seat. If Doug Jones, the Democratic nominee, wins, it would narrow the Republican advantage in the Senate to a single seat. But if Mr. Moore stays in and goes on to win, it could leave Senate Republicans with the difficult question of whether to stop him from being seated or seating him and immediately moving to expel him from the chamber. One idea now being discussed under this scenario, brought up by two different White House officials who spoke on condition of anonymity, would be for Gov. Kay Ivey of Alabama to block Mr. Moore if he wins, and then immediately appoint Attorney General Jeff Sessions to what had been his seat when it becomes vacant again. Mr. 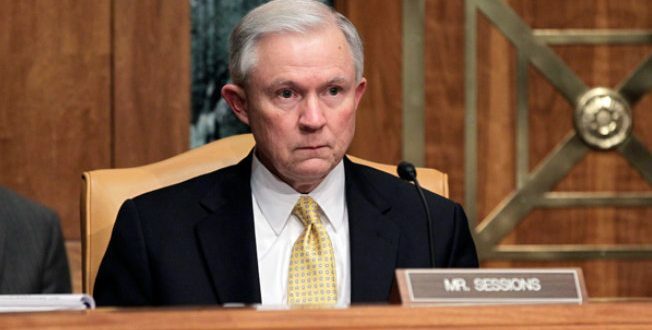 Sessions remains highly popular among Alabama Republicans, but his relationship with President Trump has waned since he recused himself from the investigation of the role that Russia played in last year’s campaign.